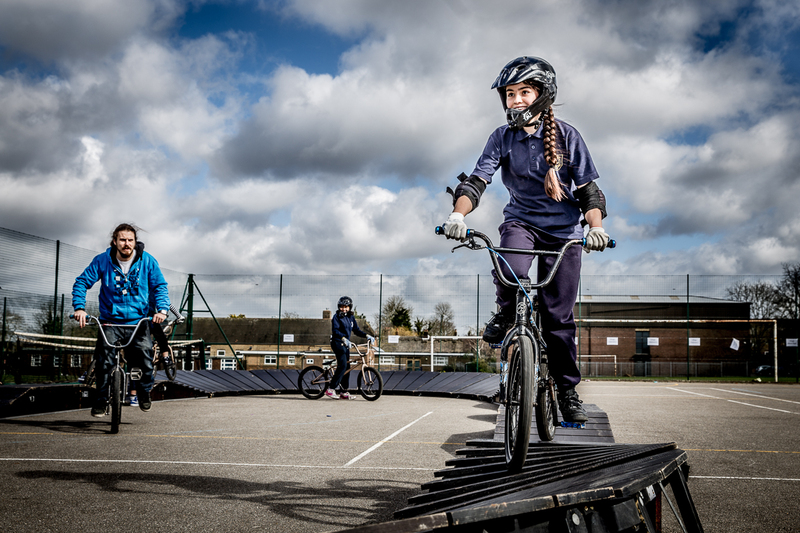 On Wednesday 4th March 2015, Kingsbury School Sports Partnership teamed up with Brent Council and Sustrans to bring The Big Pedal to Kingsbury High School. Year 8 students were able try out a range of weird and wonderful bikes including tandem bicycles, scooters and penny-farthings; a BMX track was assembled on site where students learnt to gain greater control of a BMX when faced with various obstacles and terrain; and students also had the option of trying a bikeability, cycling proficiency, taster course. Thanks to former student, Louis Cheshire, for assisting with photography.